As distasteful as off-brand candy, these 10 cards ditch the romance for some hilarious reality. 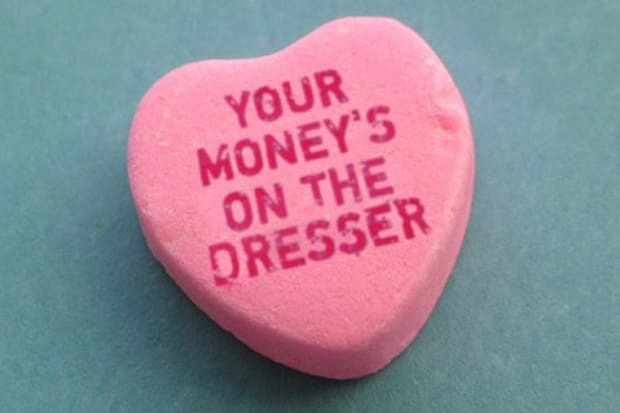 Who wants corny sentiment when you can joke about the true meaning of Valentine’s Day -- hookers, bathrooms, and boredom? Whether you order one from a DIY master on Etsy or send an old-fashioned e-card, inappropriate is unforgettable. These cards don’t say the right thing, but they just might bring a little more laughter to your love life. Check out The 10 Most Inappropriate Valentine's Day Cards.